Toni Dicks has been working with live blood microscopy for many years. Live blood analysis means that you take a snapshot of the blood. 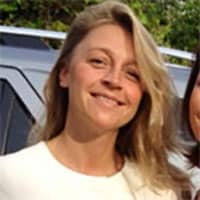 Tonis work has helped many people regain their health.Since attending the Conscious Breathing Course she has introduced the Relaxator to her clients. The images of the three cases shown below confirm that the results are phenomenal. She has never seen anything as powerful as the Relaxator in changing the blood. Before. 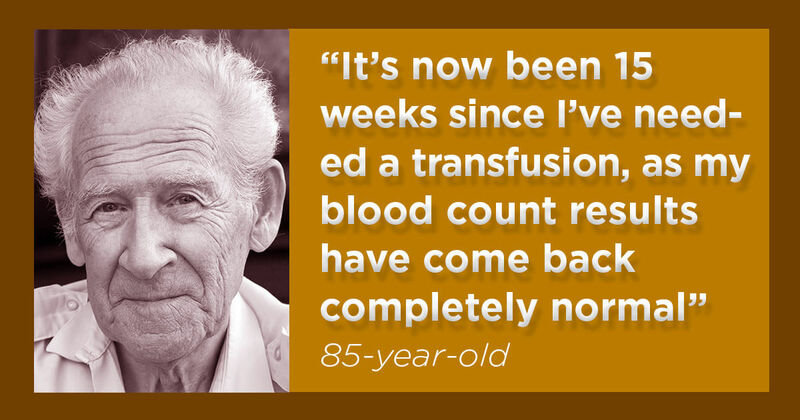 Toni: –Red blood cells are linking together due to oxygen starvation and dehydration. 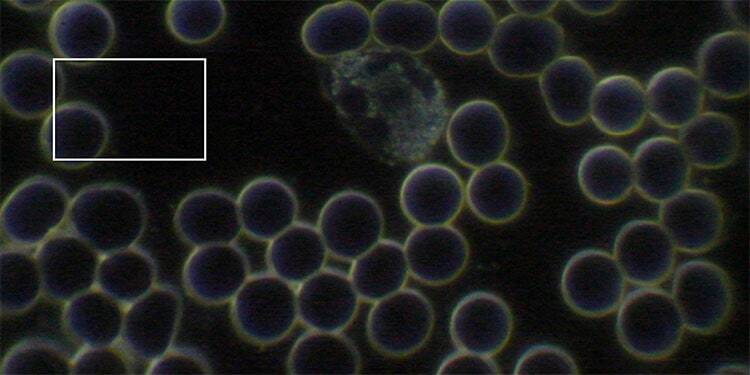 White blood cells are small, gloomy and not moving. After. Toni: –Stunning blood with positively charged red cells and strong clarity around the cell membrane. 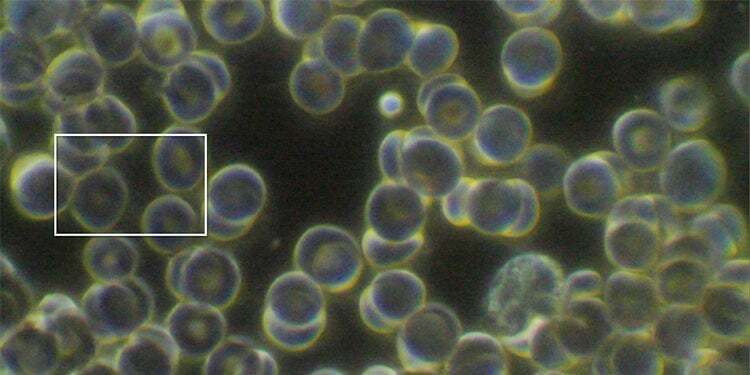 Look at the quality of the white blood cell now! Exceptional results after 20 minutes use of the Relaxator. Comment case 1. This is my blood. The first image to the left is taken directly after my workshop where I was talking and standing up for 6 hours. As it was my first workshop in a foreign language (English) and the fact that I forgot to eat no wonder I felt exhausted afterwards, which is also evident in the blood. 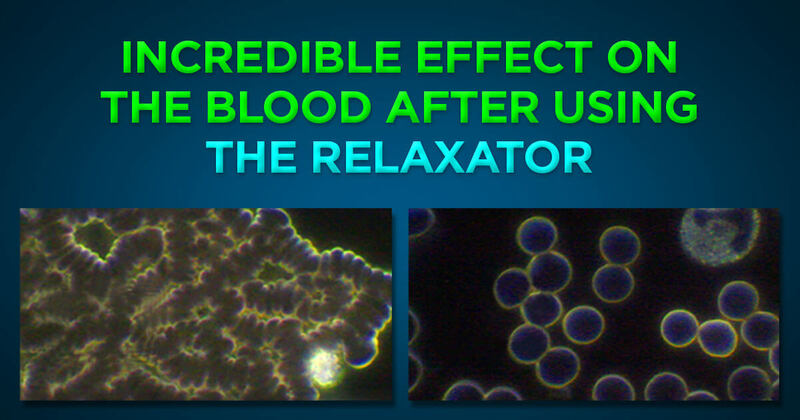 However, 20 minutes with the Relaxator changed the blood completely, as you can see on the image to the right. Before. 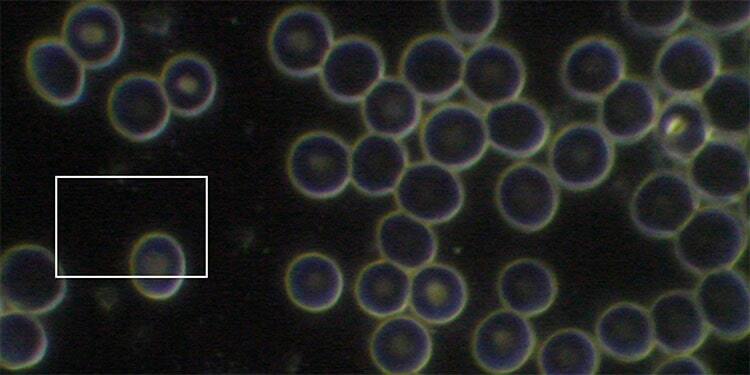 Toni: –Many of the red blood cells have a hollow center (target cells), showing that oxygen levels are low. Despite a lot of work with this client her red blood cells are finding it hard to make the correct gas exchange. Before. 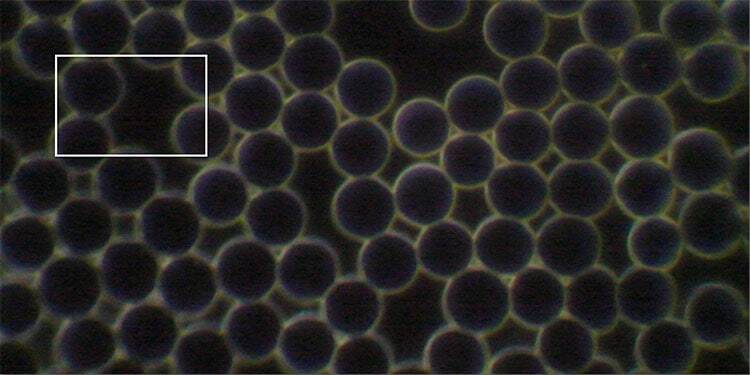 Toni: –Target cells with a hollow center, toxic sheen (yellow colour) and sticking together. White cells are small, gloomy and not moving. Despite a lot of work with this client she is still not able to hold the oxygen at a cellular level. After. 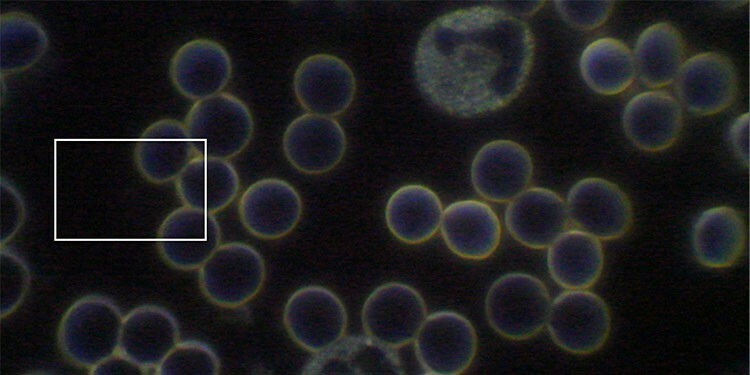 Toni: –White blood cells appear larger and are moving. Red cells are positively charged and have absorbed the oxygen after 60 minutes of breath work with the Relaxator. Incredible results!!! 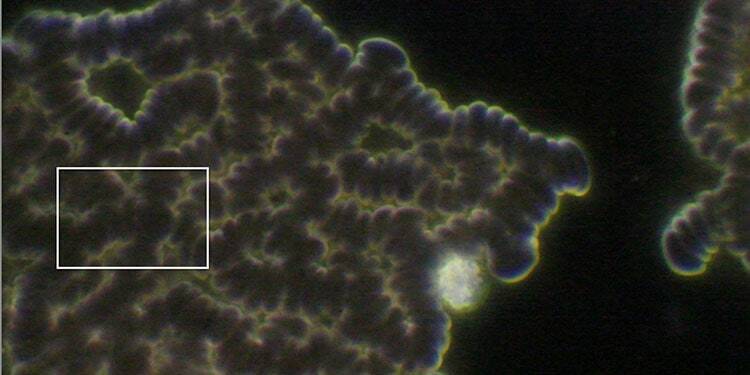 Carbon dioxide kills bacteria. 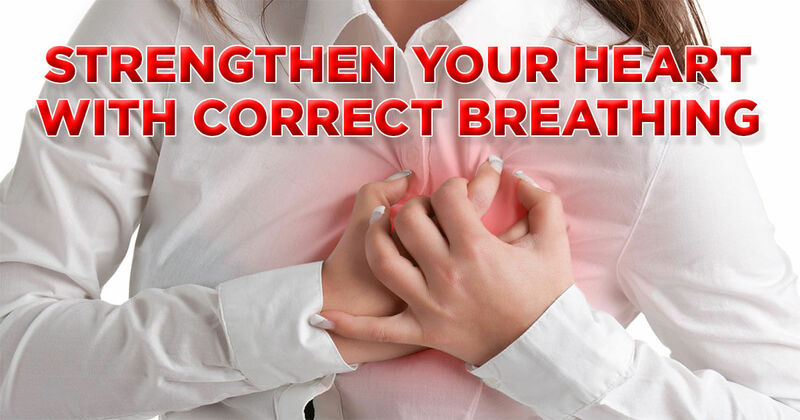 Improved breathing habits leads to increased levels of carbon dioxide in the blood (except in COPD and emphysema, where the levels are already high because of destroyed lung tissue). Since carbon dioxide kills bacteria, coffee, bread, cheese and other foods are packaged in 100% carbon dioxide. This has been used since the 1930:s.
Carbon dioxide widens blood vessels. 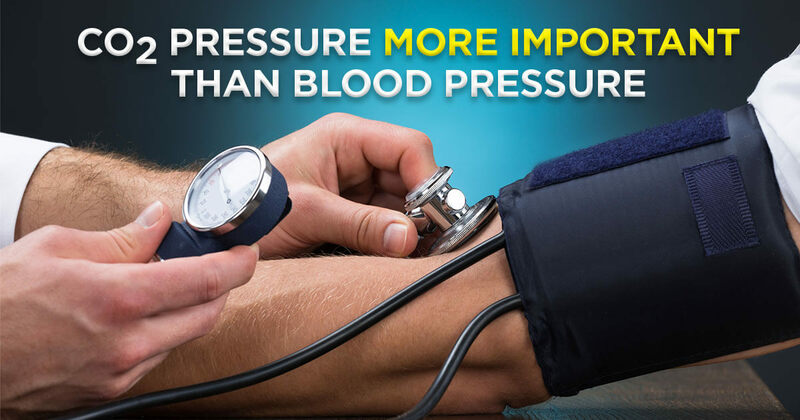 Further carbon dioxide has a widening and relaxing effect on the blood vessels, which makes it easier for the blood to flow and bring life sustaining oxygen to our cells. This effect is logical, considering that carbon dioxide is produced inside our cells when nutrients and oxygen are converted into energy (metabolism). When the metabolism is high, for example in a muscle that is moving, lots of carbon dioxide is produced while at the same time the need for oxygen is high. Carbon dioxide leaves the muscle and widens the blood vessels so that blood and oxygen easily can get through so the muscle can continue to work. The lungs filters the blood. The lungs are the only organ that receives all our blood. One of the functions of the lungs are therefore to filter and clean the blood. 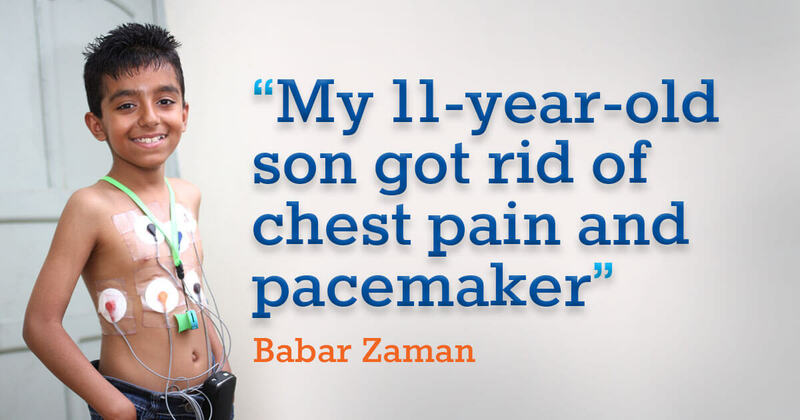 10 times more blood passes in the lower parts of the lungs compared to the top of the lungs. It is therefore possible that the deep (not big) diaphragmatic breathing stimulated by the Relaxator, increases the cleaning of the blood.